We all know Bill Belichick isn't a fan of social media, frequently butchering names of popular outlets like Snapchat, Instagram and the like. After all the controversy surrounding Antonio Brown and his Facebook video, Steelers head coach Mike Tomlin should probably hate social media more than Belichick. 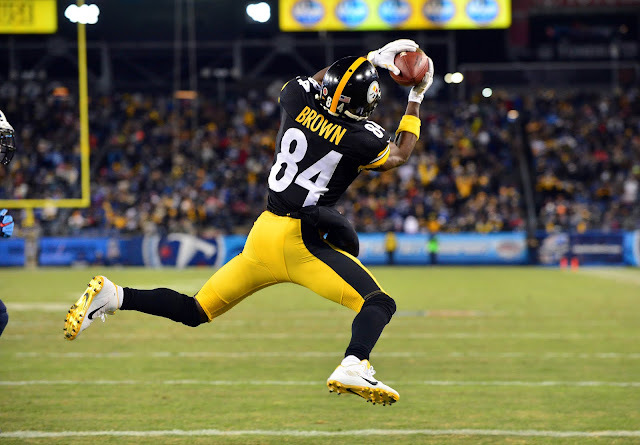 Tomlin ripped Brown for broadcasting himself and the team in the locker room following their 18-16 win over the Kansas City Chiefs last week in the divisional round. “It was foolish of him to do that,” Tomlin said Tuesday at his weekly televised news conference. “It was selfish of him to do that. It was inconsiderate of him to do that. Not only is it a violation of our policy, it’s a violation of league policy, both of which he knows. “First, I'd like to take this opportunity to say that I'm sorry for my actions and behavior after Sunday's game. I let my emotions and genuine excitement get the best of me, and I wanted to share that moment with our fans,” Brown said. “It was wrong of me to do, against team and NFL policy, and I have apologized to Coach Tomlin and my teammates for my actions. It may be all well and good in the Steelers locker room now, but this isn't something Belichick will forget.